Offering you a complete choice of products which include Beaded Tieback such as Beaded Tieback BTC100, Beaded Tieback BTC101, Beaded Tieback BTC102, Beaded Tieback BTC103, Beaded Tieback BTC104, Beaded Tieback BTC106 Gold and many more items. 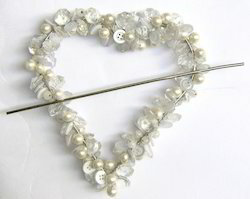 Used In Curtain, home textiles, craft Projects And Any Where You Like To Use. We Can Make Any Size, design, Colour As Per Your Requirements. Packaging Details: STANDARD PACKAGE SIZE ACCORDING TO CUSTOMER'S REQUEST. Size 22cms, Length, 21cms. Wide. 15cms. Length & 16cms. 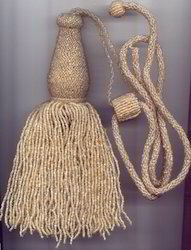 *Size 20.75"-2.75" Cords & Tassel 9.5"
*Size 33cms. 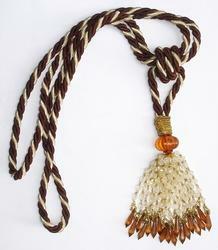 Cords & Tassels 14.5cms. 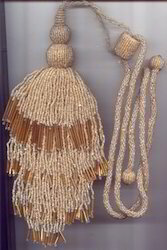 *Size 11.5"-6" Cords & Tassel 6.5"
*Beaded Tieback in many and any size as per buyers requirements in any color combination..
*fashion design and hign quality. *fashion design and high quality. 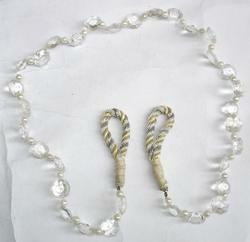 *Size:7" with glass bead & 15"+2" beaded cord [18Lari]. 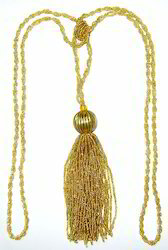 *Size 14"-3" Cords & Tassel 6". 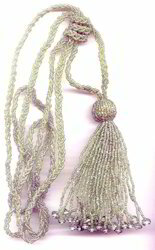 *Beaded Tieback in many and any size as per buyers requirements in any color combination. 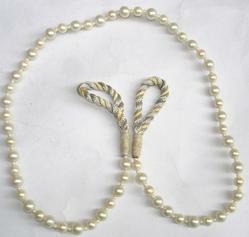 *Size Cord 6.75cms. 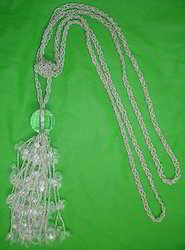 & crystal cord 63cms. 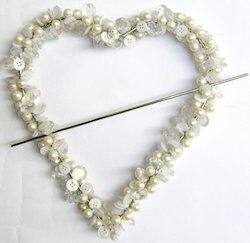 Looking for Beaded Tiebacks ?